Should Kids Be Using Cell Phones? Should Any of Us? I knew a child who wouldn’t stop asking her mother to buy her a cell phone. Daily, this kid was working her mother over. Negotiations took place at the breakfast table each morning (before coffee) for weeks until, finally, my friend cracked and bought her daughter a basic cell phone which came with the caveat: Use this in emergencies only. The child seems to have been appeased. But it’s not a huge digression. I know kids who have had cell phones as early as the 3rd grade. Children have become the earliest adopters of our newest technologies. They pick up on how things work quickly, and we are awed by their abilities to understand what seem to many adults to be such complicated devices. For years, researchers and scientists have debated whether radiation from radio frequencies used to wirelessly transmit phone calls could adversely affect the health of cell phone users. And as more people throughout the world use cell phones and make these devices an integral part of their lives, concerns have grown as to long-term public health issues. In 2009, it was estimated that in the U.S. alone, more than 270 million Americans (more than 87 percent of the population), now owns a cell phone, according to data compiled by the Marist Poll Marketing Group. A handful of studies that have looked at the long-term effects of using cell phones suggest people who use a cell phone for at least an hour each day over a 10-year period are at an increased risk of developing brain tumors. This research also suggests that tumors are more likely to be on the side of the head where the phone is most often used. More recently, researchers have grown particularly concerned about the adverse effects that cell phone usage could have on children. Some research indicates that children are five times more likely to get brain cancer if they use mobile phones, but other research efforts have found results inconclusive. So here’s the paradox: Everyone worries about the “safety” of his/her children; of course we do. What parent doesn’t? But are we thinking long-term enough? There is concern that children who start using cell phones at a young age will be exposed for a longer period of time over their entire lifetime to cell phone radiation. Researchers are particularly concerned about the risk of cell phones with children, because children’s nervous systems are not fully developed, their brains contain more fluid than brains of adults, which allows for deeper penetration of radiation. There has been enough concern among public health officials in various parts of the world to warrant warnings. For example, the Finnish Radiation and Nuclear Safety Authority (STUK), a government regulatory body located in the home country of Nokia, the largest cell phone maker in the world, is urging parents to restrict cell phone use for children, suggesting parents encourage kids text rather than talk. France has proposed banning advertisements encouraging children younger than 12 to use cell phones, and it has also warned parents that children under age six are particularly at risk. The Food and Drug Administration in the U.S. does not go so far as issuing a warning, but the agency recommends minimizing potential risk by using hands-free devices and keeping cell-phone talk to a minimum. Finland, France and Israel have all issued warnings on their government websites about children using cell phones, while the U.S. has issued no such warnings. I am certain the day will come when my son will get a cell phone. I don’t know what the moment will look like or what the trigger will be: an event like a birthday, or an actual breakdown in the systems that we currently have in place. I do know that when he gets a phone, that phone will be his responsibility and if he loses it, it will not be treated like a sock or a paperclip. And it will be when it is abundantly clear that he really needs a cell phone. Right now, the school he attends is in our backyard, so if he forgets something at school, the answer to almost any question is some variation of “Well, why don’t you just run back there and see if you can get in the school?” One day, perhaps when he is in high school and starting to drive or if he starts going to huge fencing competitions without us (or if he figures a way to argue his case and win), he can have the most basic cell phone of his choice. Until then, I’m going with the Europeans and the Israelis. This entry was posted in Parenting, Technology and tagged are cell phones dangerous, cell phone radiation, cell phones and brain cancer, Dr. Devra Davis, education, family and health, Kids and cell phones, Parenting, Science and Technology. Bookmark the permalink. All three of our girls have cellphones (ages 12, 14 and 16)…no danger of brain cancer because they hardly ever talk on them…they spend all their time texting! Our 17-year-old boy has no interest in having one. We have, however, replaced one phone due to being dropped accidentally into the Bay of Fundy (salt water = instant frying of cellphone), and one that the kid managed to lock herself out of (it couldn’t be reset without spending as much as a new phone would cost). I teach high school, and I concur with Wendy – kids that age spend MUCH more time texting than talking. I think the research about brain tumors in children will be largely moot in the coming years since many of them follow that pattern. I would be interested in knowing if there is a similar danger for those who use a blue tooth ear device. As far as what age kids should have their own – I would have to say that if they are going to be somewhere without a responsible adult for supervision, they should have a way to communicate in an emergency. Otherwise, if they are young enough to need that supervision, they are too young for a cell phone. Just my two cents, since I don’t have children of my own. I would hate to think that children are spending hours on their phones every day. If they are, I’d hate to see those bills. I don’t like that cell providers are marketing specifically to kids. Cell phones are adult tools… but then there are apps that let us track our kids which concerns me. Just because we can We can “track” our kids but doesn’t mean we don’t know what they are doing. I could be exactly where I told my parents I was going and still make poor decisions. Just because we know where they are doesn’t enhance a child’s decision making. We need to be there instilling values at the beginning which our children can reject or hold tightly to later in life. My husband and I raised 5 children. We had two cell phones in the home when they were all teenagers. The goal was for Mom & Dad to be accessible at all times. Of course back then pay phones were also readily available. We would also hand off a phone when they took a car or were going places we felt a phone might not come easily to hand. This was a reassurance for us. I would be concerned about the health risks of a phone for a child that uses the phone extensively. I am more concerned about why the phone is seeing such extensive use; socialization should occur face to face. As parents, we should promote healthy social experiences that do not involve phones. Now, if I could just get my GROWN kids to answer their phones or respond to texts. Besides all the “behind the bus” daily slow downs in our lives because of people focused on their cell conversation instead of servicing our needs in daily transactions, there is one thing that really blows my mind: Miami Dade is such a low income area that more than 2/3 of school children qualify for free/reduced price lunch and breakfast in our schools; nevertheless, on any given day a person will see 8-year olds yacking on their cell phones, walking around the neighborhood. Good Lord, how do families do it? Are they not buying groceries, paying rent or the electric bill to keep the kid cell-phonized? Ugh. That’s terrifying. What I relief that I still have not joined the cell-phone addicted masses. The thing is, I just don’t think that I need to be ‘reachable’ at all times. I’m with you! I so don’t want or need to be that accessible. If there is an emergency, the school has my number. If my child is home, he can call me from one of our phones, but for the love of Pete, why does he need one? Answer: he doesn’t. Wish you’d posted this yesterday, Renee. We just bought Tax Credit #4 a cell phone last night. Dammit. Seriously, very interesting piece, and per usual, incredibly well written. For most of us, cell phones have become a part of our daily lives, but they weren’t a part of our daily lives when we were children. A lifetime of cell phone use, literally, may bring with it health concerns that aren’t observable yet. 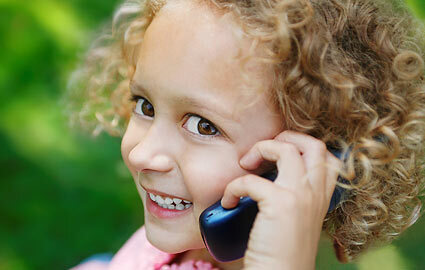 We don’t even have a landline in our home, so any phone usage by our children will be on cell phones. But they won’t have their own. Why would they need one? They can just borrow a friend’s if they need to call. Everything kills you- name something that doesn’t cause some sort of illness. I don’t just believe the cellphone phobia is going to turn into anything substantial. Thinking about someone you love. Playing a game with a friend. I sincerely hope you are right – that all this worry is for naught, but for now, I’ll keep my corded landlines and minimize talking on the cellphone. Believe me, I am the first one to pshaw things, but this is a trillion dollar industry and with the incentives for “family plans” in the mix, well, I’m not sure I trust big business to be mindful about what is good for our health. Remember when people used to think cigarettes were harmless? See how that panned out? Yikes. I’ve heard about the brain tumor/cell phone info. Hubby has a crackberry now, for work (that’s our name for it, since the blackberry is so danged addicting for some people) but he often uses the headset with it. As for kids – cells are handy for “come get me, practice is over” stuff – if you get them the most basic phone (Tracfone) they’ll be too embarrassed to whip it out in public and use it, and thus won’t have it glued to their ears all the time. I agree with writer women61. My kids are always texting. Rarely do they talk on the phone. I don’t know… I’m not buying the whole brain tumor thing, I think Jack is right, something is always going to kill you (not you personally, just in general) even some of the stuff you listed could lead to death in some random bizarre way! But I do appreciate all the hard work you put in to informing us! Thanks! Et tu, Brute? (*stabbed and falls to the ground*) Fine, you are entitled to your view on this debate. I just think there is a reason why so many countries don’t even ALLOW their kids to possess cellies until they are older. Could they know something that we don’t want to know? The first time I ever heard this debate was from a guy who also worried about alarm clocks. All of these electronic devices are relatively new in history so we just don’t know how they might affect us. Why wouldn’t cell phones be harmful? They may end up being more deadly than clowns in the end. We don’t have enough info yet but we’ll certainly see some cases. I think some of these other posters have a point about the texting. Yes, I love to text to as it eliminates wasted conversation time. But when it comes to the crazy texters, the nonstop typers with face perpetually buried in the glare of an iphone, I just can’t take it. For my students, cell phones become hazardous because if they don’t put down the phone and listen I am going to take it from them and bludgeon them. Politely of course. That is truly the biggest danger associated with the cell phone: bludgeoning by a professor. 😉 And I cannot believe you just said the word ‘clowns’. I’m trembling as I type, and not in a good way. Thanks for that. I miss people not hounding me 24/7 for trivial things. I like being occasionally unavailable and will even occasionally just shut down my phone for a few days to achieve this. I spend 99% of my time as a social butterfly and I have to have a time where I cannot be reached or risk the worlds more epic and memorable suicide. I rarely have anything intensely important to talk about so what would children under the age of twelve have to say to each other about anything? Nothing. If they want to talk, I’ll gladly let someone’s friend spend the night. Then again, I don’t have children so I’ve dodged this bullet all together. Like you, I prefer to be slightly less accessible than most people. In fact, most people do not even know that I can text (if I want to). Whoops, cat’s out of the bag now. And just because someone sends me a text doesn’t mean that I feel compelled to respond to it the way so many people do. Strong work in dodging that kiddie-bullet. Stay the course. We are a modern society. We are filled with new technology. Some of us can afford to buy it all; some of us cannot. Cell phones can save a life. They should be used wisely. I agree that cell phones can be fabulous, and this phone looks great for elderly folks who don’t need or want all the bells and whistles. It’s definitely not for tech-savvy Internet surfing adults or teenagers (who mainly text anyway). Still, I’m not sure why a 8-year old would NEED a cell phone. Ever. Did you have a cell phone at age 8? Did you turn out okay? I’m guessing you will say” Times are different now.” Truth be told, if you do the research, times are different: kids are safer now than they have been since the 1970s. But the media (police shows/Dateline type programs/entertainment news shows) make it appear as though children might be abducted at any moment; that they are always in grave danger.